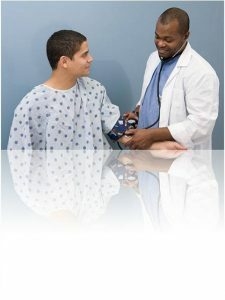 When you come into an urgent care clinic or facility, it’s important to have confidence in the fact that you will be treated by a well-qualified physician with years of experience in the medical field, so that whatever your medical condition is, it can be treated promptly and effectively. This is exactly what you can count on from the Yuba City doctors in residence at Families First Health Yuba City Center, where all our doctors are board-certified physicians. This kind of background allows them to accurately diagnose whatever medical condition you may be experiencing, and then take the appropriate steps to bring about the treatment which is effective for that condition. No matter what kind of non-life-threatening situation you or a family member may be experiencing, you can rely on it receiving prompt and effective attention at the Families First Health Center. Our extended hours make it easy for patients to visit us at almost any time because we recognize that not all illnesses and accidents occur during normal business hours. If you aren’t sure whether the medical condition you or your family member has, is treatable at an urgent care clinic, give us a call and we can discuss the issue with you. There are a couple things you can count on when you visit us at Families First Health Center, the first one being that you won’t have to wait nearly as long as you would in an emergency room, where the waits can extend into several hours. Another thing you can always count on at our urgent care clinic is genuine compassion and caring for whatever your medical condition might be, and a commitment to restoring you or your family member to good health in the most effective manner possible. For all non-life-threatening situations which just can’t wait until tomorrow, come into Families First Health Center, and let our Yuba City doctors provide the kind of expert medical care that you need. To help you determine whether or not the injury or illness that you or a family member has, should be treated at the emergency room or by our Yuba City doctors, we can provide you with some general information. For the most part, minor injuries like cuts and relatively mild burns, and less severe broken bones are all injuries which can be managed here at First Families Health Center. We can also help with asthma attacks, flu symptoms, allergy issues, muscle sprains and strains, and almost all other issues which are non-life-threatening. If you believe the issue is too serious to wait until you have the opportunity to see your family physician, then you should definitely come down to our urgent care clinic, and receive immediate care to manage the situation. At the same time, issues which are more serious than this should be taken to an emergency room, where more intensive treatment can be quickly administered. These kinds of injuries include things like severe broken bones or fractures, any kind of injury characterized by severe trauma to the head, neck, or back, situations which may involve ingestion of poison, and seizures or convulsions. If there’s any doubt in your mind about which facility you should take your medical condition to, take a quick moment and call us at Families First Health Center so that we can offer some guidance and recommendations. One of the services that we offer to the community is something that has been identified by area residents as a real need, and that is to provide various kinds of physicals for those who are required to provide proof of their physical health to some agency or organization. Many area teenagers participate in school sports programs and intramural programs, where they are required to demonstrate that they have been cleared by a medical doctor for the kind of exertion and activity relevant to the sport. Sports physicals are offered by our Yuba City doctors at the current low price of $35 per physical. To be sure of getting the physical you need in time to satisfy school requirements, it’s probably a good idea to call ahead and make sure that you can be examined right away. For the most part however, you can just walk right in, and receive whatever kind of sports physical you need, even if there’s a slight wait involved at our comfortable waiting room. There are number of services we can provide for children of all ages, including teenagers. Whenever your child needs vaccinations or sports physicals to satisfy school requirements, or if you would like to have your child vaccinated for the coming flu season, we can handle that here at Families First Health Center. If you feel that your child is tending toward obesity, and you would like some kind of recommendation from our Yuba City doctors, by all means, bring in your child so that he/she can be examined for current health status. We can also recommend some lifestyle changes and some dietary improvements which should help to reverse harmful trends toward weight gain, through our comprehensive weight loss program. If your child has a fever, flu symptoms, an asthma attack, or any kind of fever which seems dangerous, you should bring your child into our urgent care clinic as soon as possible for treatment. Infants should generally be taken to an emergency room if they are running a high fever because that is a more dangerous condition, which calls for slightly different treatment and care than would typically be provided at an urgent care clinic. Because we recognize that there is a very diverse community in the Yuba City region, with many different levels of income, we try to make our services available for everyone, regardless of their financial condition. Toward that end, we offer several payment options so that all our fellow community members can receive the urgent medical care they need. For those individuals who may lack the kind of health insurance coverage which might normally cover medical expenses, we offer a cash pay option, so that you can come into our urgent care clinic for whatever services are needed, without any health care coverage at all. Current pricing for the cash pay option is at $85, which is a standard rate for whatever services are needed, regardless of the time of day. We are glad to work with most health insurance programs, and we can make all the contacts necessary here at Families First Health Center, so that you don’t have to be involved or hassled by any redtape. We gladly accept anthem Blue Cross as well as all California health and wellness insurance plans. If you have any doubt about whether or not your personal health insurance coverage is one which we accept, feel free to give us a call before dropping in. Let our doctors be YOUR Yuba City doctors! Our Yuba City doctors are proud members of the local community, and all of our board-certified physicians are more than happy to do whatever it takes to provide top-notch medical care for all of our fellow community members. In fact, everyone on our staff at First Families Health Center takes great pride in serving community members throughout the region, because everyone on our staff is also a member of that same community. Contact us today, or at your earliest convenience, to find out more about the services and about the highly skilled medical personnel who work tirelessly to provide urgent care to community members whenever it’s needed. Thank You for choosing Families First Health Center to be your Yuba City Urgent Care provider. We know that there are many choices and we are proud that you trust in Families First to provide the very best in Urgent Care treatment for your Family. For more than 20 years, our goal at Families First Health and Wellness Center has been to provide the very best in Urgent Care and Family Practice Medicine for Yuba City and the Gridley area. To this end we are comitted to rendering friendly, compassoinate, and efficient medical care for your family. When you enter our facility you will find a warm and inviting environment with a friendly, professional staff who care for your personal needs and strive to provide the very best in medical care and customner service. We pride ourselves for providing minumim wait times and maximum results! Here at Families First Health, our doctors also understand the rising cost of medical care and the importance of minimizing out of pocket expenses whenever possible. We always strive to minimize costs while still providing the very best in urgent care and family medicine. We accept most insurance and can process your claims with minum hassle and red tape. If you do not have insurance, thats OK! You can take advantage of our every day low price $85 cash pay for your visit. Its Fast and its Easy! We accept Anthem BlueCross and California Health and Wellness insurance plans and we are fully optimized for all of the changes resulting from the Affordable Care Act. We offer DMV physicals for only $95! No Insurance? No problem! Ask about our $85 cash pay!